Siesta key and Siesta key public beach are one of Sarasota’s crown jewels. Visitors from both ‘near and far’ will quickly attest to that fact. And, it didn’t hurt that Siesta key beach was named the #1 Beach in America for 2011. But then again it’s ranked as one of the most beautiful beaches in the nation every year. So it should also come as no surprise the number of brides and grooms that choose Siesta key beach as their wedding ceremony venue. Can’t go wrong with that choice. Don’t Miss: Secret Siesta key beach wedding ceremony spots. But, what about after the ceremony? What about the reception? Where do we go? 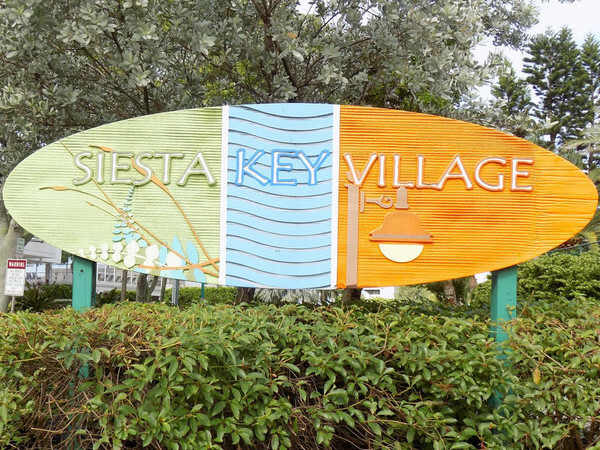 And the answer to those questions is: Siesta key village. Siesta key village is about a mile north from the public beach and has plenty of ‘dining and spirit‘ options for you and your beach wedding guests. 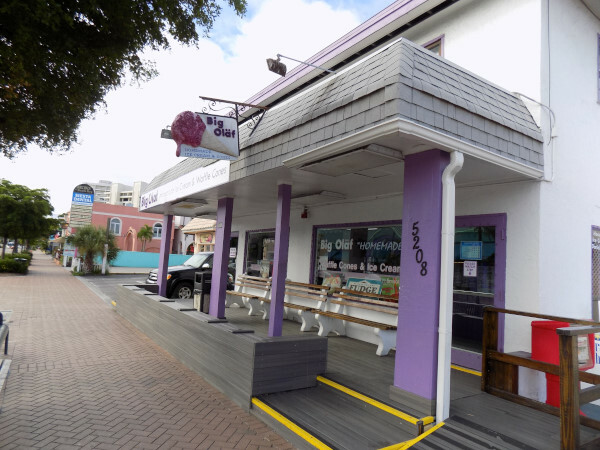 On top of that, Siesta key village has plenty of laid-back family friendly places to eat, shop (or window shop) and my favorite; ‘Ice Cream & Chocolate‘ shopping. After performing hundreds of Siesta key beach weddings we know that 99% of all beach weddings use a restaurant as their number one reception choice. Restaurants are an easy, fun and economical way to have your wedding reception. Siesta beach wedding ceremonies are beautiful & affordable, your reception should be fun & affordable too. Right? Whether you’ve never been to Siesta key village or been there a thousand times (that’s me) I always notice something new looking at pictures. So, below are a few pictures of Siesta key village, some pictures were taken during the morning with few people around, other photos were taken just after sunset. BTW: Sunsets happen nightly just down the street from the village. Many take a “Time Out” to stroll down the street and enjoy this nightly event. Hope you enjoy my pictures and if you have any questions feel free to contact me. Take a peek at all of our affordable Beach Wedding Packages and Wedding Package Options before you leave.